Ontario can’t compel Resolute/Repap to make a deal over the future of the Fort Frances pulp mill, despite the town’s insistence that the surrounding forests should be prioritized for their benefit. In other Business news: the building season is delayed due to weather (Madison’s); the USMCA is no sure thing (Globe and Mail); BC mills take in burned timber (Houston Today); Northern Pulp’s extension request gets community support (CBC News); and CanWel buys Lignum Forest Products from Conifex. In Forestry/Climate news: Nova Scotia’s auditor general has species at risk concerns; BC’s caribou plan troubles one BC politician, as hearings gear up in Revelstoke and the Peace River; Oregon reaches compromise on cap and trade, New Zealand touts the case for using trees to offset CO2 emissions, and the future of biomass plants in Arizona and Maine. Finally, mass timber’s is embraced by Idaho but uncertain in Chicago’s building code overhaul. Due to a very deep snowpack over this winter, then sudden, much warmer temperatures, the usual high-water during spring on rivers all across the middle of the continent have completely overflowed. …Suppliers have slowed production and are waiting to see what happens with renewed ordering once their current, already sold, inventory is sent out. Lumber inventories were apparently “backing up” at the secondary supplier level. Wholesalers and distributers had plenty of wood sold, but getting it on the rails with any semblance of punctuality was a frustrating challenge. …While standard grade Southern Yellow Pine prices corrected upward this week after significant volatility this year, most benchmark construction framing softwood lumber prices remained flat over the past couple of weeks. …General consensus is that the full scope of lumber ordering for this year’s building season hasn’t happened yet. VANCOUVER, BC — CanWel Building Materials Group announced today that certain of its subsidiaries have entered into a definitive purchase agreement with Conifex Timber to acquire Lignum Forest Products, a private partnership which operates a lumber marketing and distribution business. Lignum is a well-established brand in the lumber and forestry distribution market in western Canada and the US. The acquisition further solidifies and complements CanWel’s North American distribution capabilities and reach with existing and new customers, through the addition of Lignum’s network of established inventory locations. …The Company expects the Acquisition to close on or around April 1, 2019. The Tsawout First Nation is proceeding with an injunction against some of its own community members who… have stood in the way of logging activity on Saturna Island. On Tuesday, three individuals were served with notice that the Tsawout council is seeking the injunction to clear the way for its contractor, Chemainus Forest Products, to at least remove the timber that has already been cut. “…we have a contract to meet,” said Tsawout Coun. Mavis Underwood, and for safety reasons since the property, known as IR No. 7, is an active work site. Dan Claxton, one of the three individuals named in the injunction, declined Tuesday to comment until he had a chance to talk to legal counsel. However, Claxton is one of the Tsawout community members opposed to logging the second-growth plot of land arguing that the council’s plans proceeded without adequately consulting the community and without considering traditional use by community members. An oil spill occurred near Topley Landing in Babine Lake on March 18 after the transport barge operated by Babine Barge experienced a mechanical problem. The barge is contracted to Canfor in Houston and the incident saw some oil released into the lake, Michelle Ward, Director of Corporate Communications with Canfor, told Black Press. The total of 70 litres of gear oil spilled into the water from the Babine barge, said Suzannah Kelly, spokeswoman for the Ministry of Environment and Climate Change Strategy. …Cleanup crews, using absorbent pads and booms recovered about 60 litres from the lake, Kelly said. They might look charred and useless, but some of the burned trees left over following last summer’s wildfires are heading to saw mills. Canadian Forest Products (Canfor) takes burned timber. …“We make every effort to harvest burnt wood before it degrades from exposure,” said Canfor spokeswoman Michelle Ward. …Steve Zika, of Hampton Affiliates, which owns the Babine Forest Products mill confirmed to Black Press that some burned logs are expected to be taken in. …West Fraser’s mill in Fraser Lake accepts burned timber as well. The burned volume has accounted for about 10 per cent of the total intake, which will increase to 15 or 20 per cent over the next year, explained Tan Calhoun, Woods Manager. …The mill faces specific challenges when processing burned timber, such as ensuring the charcoal doesn’t get into the wood chips, and with charcoal dust. Inverness County council is urging Premier Stephen McNeil to accept Northern Pulp’s request for a one-year extension to construct its new treatment facility. …Warden Betty Ann MacQuarrie of the Municipality of the County of Inverness… “It’s the economy, it’s jobs, it’s spinoff jobs, it’s sawmills, it’s the whole pulp operation. And we’re standing by what we’ve heard from them.” …The future of the mill is uncertain if the extension is not granted. The premier has vowed not to agree to any extension, even it means the mill closes. …Paul Strome of Chéticamp, which is in the municipality, opposes any extension. He said it is just giving in to the mill’s demands. There needs to be a complete shift from the jobs-only focus to a long-term environmental strategy, he said. FORT FRANCES – The issue of the shuttered Resolute mill in Fort Frances came up at the Fort Frances City Council meeting, as well as being the subject of a question at Queens Park. Douglas Judson, a Councillor in Fort Frances made this statement: …“None of us should accept the proposition that this is a private business deal in which the public has no role. After all our community and governments have invested in this facility, we will not stand by while a private transaction threatens to strip the economic benefit of publicly owned forest resources from our District. Those benefits should be prioritized for this community, and we are not done fighting”. …NDP Northern Development critic Michael Mantha said the Ford government must ensure access to wood supply for northern mills and forestry operations. Unifor Local 1359 welcomed Eacom Timber Corporation into its family on May 2, 2018. The negotiating committee has been working on their first contract since June 2018. …Unfortunately, the employer continues to disrespect the negotiation committee’s proposals and to which held a strike vote with the membership. …The employer has applied for conciliation to which the union does not oppose. Having a conciliator come in from the Ministry of Labour to help the parties get on back on track and negotiate an agreement that is fair and respectful and that the negotiating committee can recommend to the membership to avoid strike action. THUNDER BAY — The provincial minister of natural resources and forestry says he would love to see the Fort Frances mill operating. … Responding to a question asked by NDP critic Michael Mantha, Minister John Yakabuski said the government has to wait until there is a purchase in the mill before the issue of wood supply can be addressed. “Should a deal be brokered together by someone who is prepared to operate the Fort Frances mill location, that is something that we would re-look at that allocation,” Yakabuski said. …Resolute has indicated its desire to sell the property that would demolish the mill and redevelop the site. The Town of Fort Frances has indicated that it plans to invoke the site plan control process and require a line of credit of at least $20 million prior to the mill’s demolition. …“When it comes to integrating technology into our system, it’s all about streamlining what we do to maximize efficiencies and lowering the cost of doing business as an Association, “ said Jeff Easterling, NELMA president. “The ability to evaluate critical information and provide important feedback to our members and customers is paramount to our core activities.” Founded 85 years ago, NELMA is the rules-writing agency for eastern white pine lumber and the grading authority for other commercially important …species… NELMA is also a leading agency for export wood packaging certification and the marketing voice for its lumber manufacturing members. …NELMA took a big leap out in front in October 2010 when the association introduced a self-designed proprietary iPhone app that was used by wood packaging inspectors for years, resulting in NELMA becoming the first and only grading agency to utilize an Apple-based app. In front of an audience of more than 400 architects and engineers at the Vancouver Convention Centre earlier in March, the Yasodhara Ashram’s Temple of Light was named as a 2019 Wood Design Awards winner for its innovative use of wood. The awards are sponsored by Wood WORKS! BC. Patkau Architects of Vancouver, a world-renowned design firm, was the award’s recipient. “We are delighted that Patkau Architects is being honoured with the Wood Innovation Award for the Temple of Light,” Swami Lalitananda, president of the ashram, said last week. …The complex, curvilinear geometry of the Temple of Light was achieved with relatively modest means and conventional building materials by fabricating its sweeping petal-like forms utilizing principally straight engineered timber elements. WOODBRIDGE, ONTARIO — In 2014 the landscape of mass timber construction in Ontario received a much needed boost when Ontario amended the Ontario Building Code to allow new wood frame buildings to reach up to six storeys. …Through funding received through Ontario’s Mass Timber Program, The College of Carpenters and Allied Trades received funding to develop and deliver an innovative wood building and connection system training program to train workers in the skills and techniques needed to work correctly, productively and safely on job sites focused on wood frame buildings. …The College of Carpenters is hosting a Mass Timber Open House Wednesday March 27th, 2019 from 4pm to 7pm to showcase and highlight the training program developed to provide workers with the skills and knowledge to be productive, skillful and safe on mass timber projects. Chicago Mayor Rahm Emanuel and the city’s Department of Buildings announced that they are making a “comprehensive” overhaul to local building codes, which was last done 70 years ago. City officials have been working with each other on the revamp for more than a year. In addition to adopting the International Building Code’s terminology and classification systems, the revised code will include provisions for modern materials; update sprinkler requirements to increase safety and encourage development; add risk-based structural requirements that will take the burden off those building relatively small and simple structures… and introduce seismic codes for critical structures and tall buildings. …There’s no mention yet whether the new Chicago code will provide for the construction of tall wood buildings, but the next edition of the IBC… will include codes for mass timber structures. The provincial government unveiled its draft Canada British Columbia Conservation Agreement on Mar. 21 and is accepting feedback on the proposed plan to conserve and recover caribou until April 26. The B.C. government revealed plans in a teleconference on Thursday and has posted documentation on the plan on its engagement website. At the Mar. 21 announcement, two separate but related plans were presented. The first was a draft “partnership agreement” between B.C., Canada, the West Moberly First Nations and the Saulteau First Nations. That plan covers an area in the northeast of B.C. and doesn’t have effect in the Revelstoke area. The second plan is the draft “Section 11” agreement, an agreement between the provincial and federal governments to conserve and recover mountain caribou. The so-called Section 11 agreement is named after a section in the federal Species at Risk Act (SARA); it allows the federal government to enter into partnerships on species recovery plans. 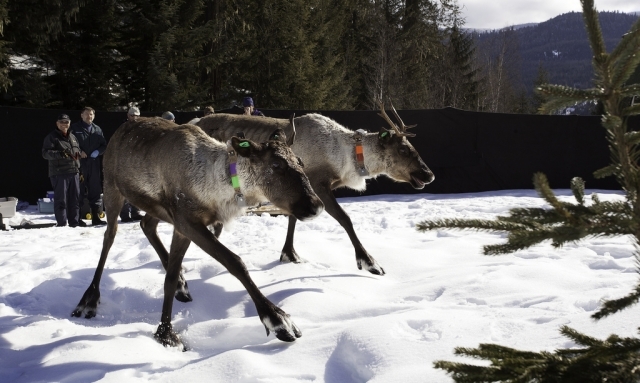 After months of speculation and cancelled public meetings, the provincial government has finally released two draft caribou recovery agreements. …Included in the partnership agreement are plans to increase protected areas and closures in high and low elevation caribou habitat. According to provincial officials, these proposed closures will target resource development and forestry may also be affected. …Of great concern to me is the fact that a socio-economy study wasn’t completed before the release of these draft agreements, so we really don’t have an idea of how much of an impact these proposed changes will have on our region’s economy. The timeline for public feedback is also incredibly short, with the province only accepting input from the public until April 26. As warmer weather returns to parts of the province affected by last summer’s wildfires, the BC Wildfire Service is advising British Columbians that some hot spots could re-emerge due to what are called “overwintering” fires. An overwintering fire can occur when a wildfire that burned deep underground last year has continued to smoulder all winter long. Given the extent and intensity of many wildfires in the summer of 2018, some of these residual hot spots could flare up with the arrival of warmer and drier weather this spring. Most overwintering fires will occur well within the original fire’s perimeter. Many areas near communities where wildfires burned last year are being actively patrolled by firefighters and scanned using thermal imaging technology. It is standard practice for the BC Wildfire Service to monitor previous wildfire sites to ensure that any flare-ups from overwintering fires are located and suppressed if necessary. Members of the public are invited to attend community engagement sessions to provide their feedback on two draft agreements to conserve southern mountain caribou populations. The two draft agreements have been developed under section 11 of the federal Species at Risk Act. A draft partnership agreement between B.C., Canada, West Moberly and Saulteau First Nations proposes specific habitat protection and restoration measures to recover the central group herds of southern mountain caribou. A draft section 11 agreement between B.C. and Canada sets a framework for co-operation between the two governments to recover southern mountain caribou. Staff from the provincial and federal governments and Saulteau and West Moberly First Nations will share information about the draft agreements and will be available to answer questions. Feedback collected from these sessions will help inform the final agreements. B.C. is no stranger to destructive insects — the mountain pine beetle infestation has decimated forests throughout the province and nationwide. But right now, researchers are urging the public to protect their trees from a different pest: the Douglas fir beetle. Instances of Douglas fir beetles harming B.C., Interior forests are on the rise, particularly in the Cariboo region. 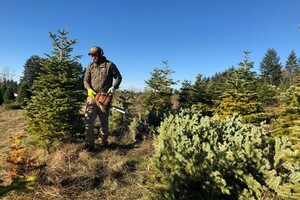 …Because they usually start eating the trees in the early summer, the Industrial Forestry Service, one of the larger natural resource consulting firms in B.C., suggests the public start spraying their trees with special repellent now. “It’s spreading pretty quickly” IFS researcher Serena Black told CBC. …Black recommends property owners use MCH repellent, which replicates the beetles’ pheromones to signal to other bugs that the tree is full, and there isn’t enough food for more bugs to join. A proposed amendment to the Nagagami Forest Management Plan highlights how wood moves around northwestern Ontario much more than before — meaning logs don’t always travel to the closest mill. Nagagami Forest Management wants to make some major amendments, including the construction of new roads. Those roads would allow wood to move easily from one forest unit to another. It means logs would be more easily moved between the Nagagami, Big Pic, Magpie and White River forests. …The amendments would make it easier for wood to get shipped to the Columbia Forest Products veneer plant in Hearst, without having trucks travelling on provincial highways. 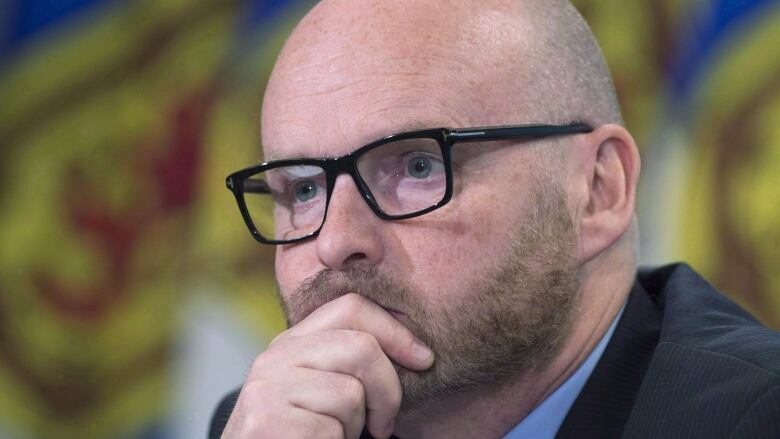 Nova Scotia’s auditor general says the province has failed to implement more than 30 audit recommendations from 2015 and 2016, including a number related to health care and species at risk. …Of particular concern, said Pickup, are five recommendations about homes for special care, another five recommendations related to species at risk, and recommendations related to licensed child care. 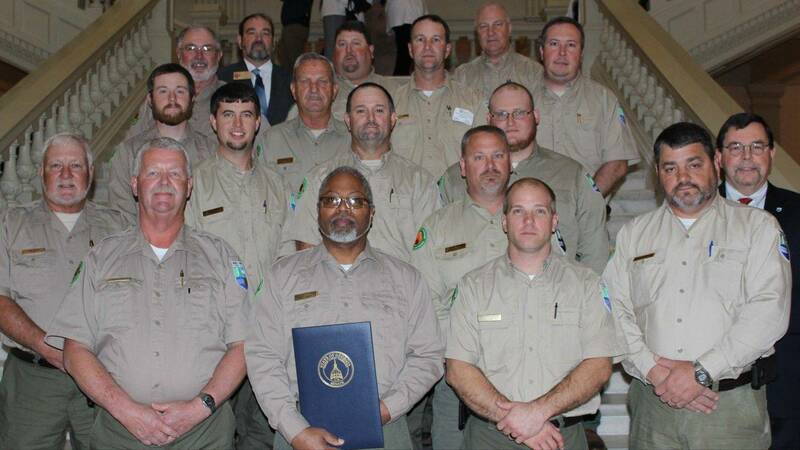 …Lands and Forestry has completed three of nine recommendations. Recommendations not completed mostly concern species at risk regulations, monitoring and recovery plans for endangered species. …Minister Iain Rankin… said while not yet completed, that work is well underway. …”We do have some research in the works and aerial surveys for most of those types of things,” adding resource biologists have also been added to the department to assist in completing the AG’s recommendations. TORONTO – People from across Ontario are declaring solidarity with species at risk and calling for urgent change in the way we affect the natural world that sustains us. Twenty-eight authors, musicians, Indigenous Peoples, businesses and environmental organizations issued a joint statement today emphasizing humans’ collective responsibility to protect the natural health of Ontario, Canada and the planet. The statement was issued on the heels of the Government of Ontario’s public consultation on the Endangered Species Act, 2007. [The government’s] commitment to increasing “efficiencies for business” has prompted fears about the fate of plants and animals already imperilled throughout the province. More than 230 of Ontario’s plant and animal species are in danger of disappearing, largely due to habitat loss and disturbance. Industrial activity and development are key drivers of that loss. The ESA already provides significant exemptions to industry; further weakening the act will only increase the threats to the province’s most vulnerable species. Members of the public near and far have expressed their support for the 2001 Roadless Rule in recent months, both to the U.S. Forest Service and to a national survey organization. The USFS is currently considering making an Alaska-specific version of the Roadless rule, a federal law that prevents timber harvest and the building of roads on National Forest Service areas throughout the country. The Alaska-specific Roadless Rule has yet to be written… the majority of comments received during the recent public comment period were opposed to making changes to the rule. …About 45 percent of the 17-million-acre Tongass National Forest isn’t open to timber harvest or the construction or reconstruction of roads under the Roadless Rule. It could take a decade or more for Florida‘s timber industry to recover from ‘s devastation, and the countless downed trees pose an immediate wildfire threat, Florida Forest Service Director Jim Karels told a Senate committee Tuesday. 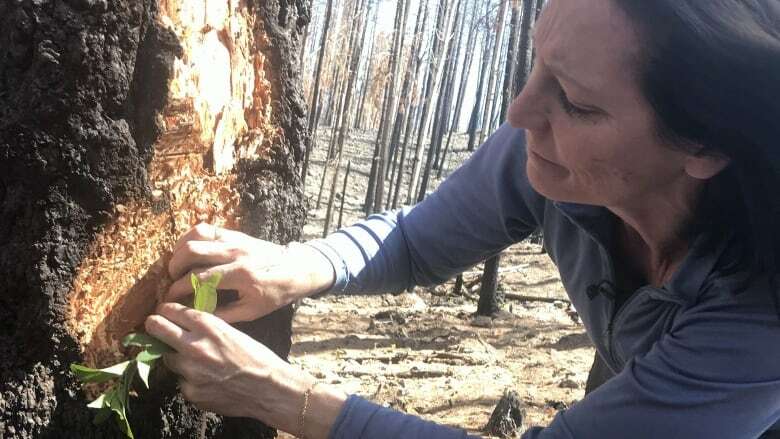 Karels told the Senate Agriculture Committee that about 1.4 million acres had severe or catastrophic tree loss, meaning 75 to 95 percent of the pine trees were damaged or destroyed. He said a 20-mile swath from the Gulf of Mexico to the Georgia border was the worst hit area. More than 16,000 private landowners were affected overall, including moderate damage far beyond the storm‘s eye, he said. Karels recommended the state provide $20 million to help landowners clear fallen trees and start replanting the forests. Arizona Public Service will study the conversion of the Cholla Power Plant from coal to biomass produced by thinning millions of acres of forests in northern Arizona. “A conversion at Cholla would ultimately assist in forest thinning, thereby reducing wildfire potential, ensuring forest health and protecting our watersheds,” said Barbara Lockwood in a letter to the Arizona Corporation Commission. The power company’s announcement could lead to a breakthrough in the stalled effort to reduce wildfire risks and boost forest health by thinning the tree thickets that threaten every community in northern Arizona with crown fires. Converting the 60 megawatt plant to wood would support the clearing of about 30,000 acres of overgrown forest annually. …The APS release made it clear the conversion of Cholla would depend on long-term contracts for biomass with “third party” loggers. SALEM, Ore. — Oregon lawmakers on Monday unveiled a compromise proposal to a controversial cap-and-trade bill regulating greenhouse gas emissions, responding to overwhelming opposition from businesses and agricultural groups who worry the plan could put them out of work. If passed, Oregon would become the second state in the country after California to implement an economy-wide cap-and-trade program. Under the bill, the state would place an overall limit on emissions and then sell a set number of pollution permits or “allowances” to the highest bidder. …At least half of all funds must benefit rural and low-income communities… Other revenue would go to clean energy job training, wildfire prevention and a program that would fund environmentally-friendly transportation projects. Businesses will be allowed to discharge up to 95 percent of their emissions for free for the first three years of the program. 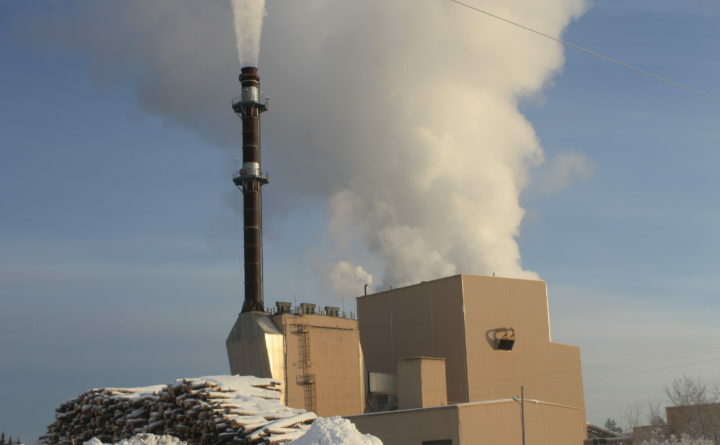 ASHLAND, Maine — As the growing season nears, northern Maine farmers who have depended on wood ash as an affordable alternative to lime are now in a lurch with the closure of Aroostook County’s two biomass plants. The closure of both ReEnergy plants in Ashland and Fort Fairfield within a year came as a disappointment to those in the forestry and agriculture sectors, said Shannon Giles of Maine Environmental, which supplied wood ash from the biomass plants to farms in Aroostook County. …Giles said the cost of wood ash in Aroostook County has generally been less than half the cost of commercial lime. Depending on the source, amount and type of nutrients, commercial lime costs can start at around $35 per ton, Giles said. Lime is often applied at rates of one or more tons per acre. The case for using trees to offset fossil carbon dioxide has been that they will buy us time. That still is relevant today and more so if New Zealand invests in a transition to a circular bioeconomy says Scion CEO Dr Julian Elder in response to the Farms, forests and fossil fuels report released yesterday. “Now is the time to be having the serious conversation about a new economy and build a national consensus on how our country can grow its way to a sustainable, bio-resourced future. …Using sustainable wood in construction contributes to climate change mitigation. The manufacturing and processing emissions for wood are lower than those of concrete, bricks and steel responsible for between eight and 15 per cent of greenhouse gas emissions worldwide. Wooden materials extend carbon storage from the forest to the building – for decades, or even centuries – while replanted trees continue the carbon sequestration process.